Mr. Muhammad Ashraf Bawany is nominated by Pakistan Stock Exchange Limited (PSX) on the Board of Directors of CDC where he is also serving as a member of Audit and I.T. Steering Committees. He is also nominated by the CDC Board on the Board of Directors of ITMinds Limited – a wholly owned subsidiary of CDC. Besides CDC, he is serving as a Director on the Boards of Pakistan Stock Exchange Limited, National Clearing Company of Pakistan Limited, Pakistan Institute of Corporate Governance, Pak German Business Forum, German Pakistan Chamber of Commerce and Industry and Emerging Indus Partners Limited. Mr. Bawany remained Chief Executive and Managing Director of Linde Pakistan Limited – a Member of Linde AG, Germany from August 2013 to January 2018 and thereafter served as Advisor to Chairman & Board of Directors till March 2018. He served Linde Pakistan Limited for more than 30 years in various leadership roles including CFO & Company Secretary and was responsible for successfully executing several local and regional initiatives and strategies. Mr. Bawany is also Chairman Pakistan German Business Forum (PGBF), Trustee – Help International Welfare Trust (HIWT) and Member Supreme Council, Jetpur Memon Association. Mr. Bawany is also a Certified Director from the Pakistan Institute of Corporate Governance (PICG), and Chairman of the Board Audit Committee of PICG. In addition, he has also served as Chairman Board Audit Committee of NCCPL, Vice President of Bin Qasim Association of Trade & Industry (BQATI) and Vice-President Jetpur Memon Association (JMA) and Chairman, Strategic Advisory Board (SAB) of Memon Professional Forum. He takes keen interest in the promotion of education, trade and industry and strongly advocates these causes through various professional, corporate and trade platforms and also supports various social and welfare activities. In this regard, he is associated with the Welfare Committees of Tabba Heart Institute (THI), Tabba Kidney Institute under Aziz Tabba Foundation (ATF). 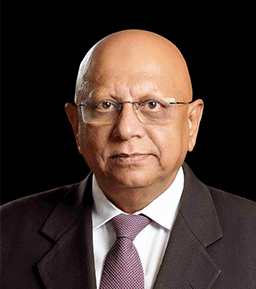 He is the former President of Institute of Cost and Management Accountants of Pakistan (ICMAP) and Pakistan Institute of Public Finance Accountants (PIPFA) and member Education Board All Pakistan Memon Federation. Mr. Bawany is a fellow member of ICMAP and ICSP. He is also a Law graduate and has done various advanced management courses from local and foreign institutions.